Join ViceVersa Magazine on Friday, November 9th at The Cooper Union for Bitter Laughter, an annual conference that analyzes important issues affecting Latin America and Spain through the lens of art and satire. 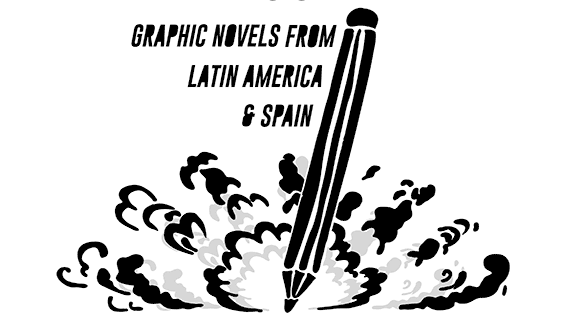 This third edition of Bitter Laughter will look into the boom of comics and graphic novels from Latin America and Spain, which have a unique history of addressing controversial political, cultural, and social issues. Join Puerto Rican graphic novelist Edgardo Miranda-Rodriguez, author of the graphic novel “Recanstruction”; Argentinian cartoonist, writer, and humorist Darío Adanti, editor and co-founder of the satirical magazine Mongolia; and Spaniard comic book artist and illustrator Belén Ortega, awarded for her work in the Manga genre. The evening will end with refreshments and a special opportunity to mingle with the speakers.